You should bring USD cash to buy the entrance fees, meals, beverage and pay the tour. You can pay the tour fee on last day of tour. Please kindly help to write a review about our services and upload some photos in TripAdvisor when the tour ending. Please click this below link, then you can do it. At 8:00am, our English licensed guide and car will pick pick you up from your hotel, then to go to buy one day Angkor temple pass,and see South gate Angkor Thom, Banyon (216 smiling faces of Buddhisatva Avalokitesvara), Baphuon, Phimean Akas(Sky Place), Elephant terrace(Royal entertainment area), Ta Prohm (The jungle temple where Angelina Jolie made a film of Tomb Raider), have lunch at the local restaurant then see Angkor Wat(The largest monument in the world). (The total tour costs USD65 from 1 to 3 persons; USD75 from 4 to 6 persons; USD85 from 7 to 10 persons inclusion English licensed guide, A/C-car, Cold water, Face towels, Parking fee, Fuel. 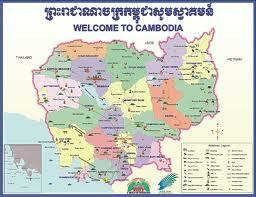 But exclusion one day Angkor temple pass USD37/Person, hotel, lunch,beverage, your own expense, gratuities). At 5:00am, our English licensed guide and A/C-car will pick you up from your hotel, then go to buy one day Angkor temple pass and see Sunrise at Angkor Wat, have breakfast nearby the temple, continue to see Angkor Wat, then see South gate of Angkor Thom, Bayon, Baphuon, Phimean Akas, Elephant terrace, have lunch at the local restaurant, then see Ta Prohm. (The total one day tour costs USD75 from 1 to 3 persons, USD85 from 4 to 6 persons, USD95 from 7 to 10 persons. Inclusion English licensed guide, A/C-car, Cold water,Face towels, but exclusion one day Angkor temple pass USD37/Person, lunch, beverage, hotel, your own expense, gratuities). At 9:00am, our English licensed guide and car will pick you up from your hotel, then go buy one day Angkor temple pass, and see North gate of Angkor Thom city, Preah Khan (The royal sword sanctuary), Banteay Srei (The citadel of women/Monalisa), have lunch at the local restaurant, then see Banteay Samre (The citadel of Samre tribe) and Pre Rup (The Royal crematorium sanctuary). D- Kampong Phluk Villahe & Rolous Group at Angkor National Park At 9:00am our English licensed guide and A/C-car will pick you up from your hotel, then depart to Kampong Phluk Village and take a cruise to explore the way of local life, the stilted houses,pagodas, schools, flooding forest, the greatest lake in Southeast Asia, have lunch at the local restaurant, then see Prasat Preah Ko and Bakong temples. Both of them were built in the 9th centuries, dedicated to Hinduism for Sheiva God. Inclusion English licensed guide, A/C-car, cold water, face towels, but exclusion one day Angkor temple pass USD37/Person, hotel, lunch, beverage, your own expensed and gratuities). At 8:00am, our English licensed guide and A/C-car will pick you up from your hotel, then go to buy Phnom Kulen mountain pass at the of ticket booth, then depart to Phnom Kulen mountain about 60km from Siem Reap town, and explore a thousand Linga carving under the stone riverbed, a giant reclining Buddhas carving under the stone riverbed, have lunch at the local restaurant, then see waterfall. (The total tour costs USD110 from 1 to 3 persons; USD120 from 4 to 6 persons; USD130 from 7 to 10 persons. Inclusion English licensed guide, A/C-car, cold water, face towels, but exclusion Phnom Kulen pass USD20/person, hotel, lunch, beverage, your own expense and gratuities). Depart at 8:00am depart to Phnom Kulen mountain and explore a thousand Ling carving under the stone riverbed, a giant Buddhas carving, waterfall, have lunch at the local restaurant, then depart to see Beng Mealea (the jungle temple was built as the same Angkor Wat period, but it has not restored and cleared the forest yet, it called the Indiana Jones temple). At 8:00am our English licensed guide and A/C-car will pick you up from your hotel, then depart to Koh Ker Temple Group, then explore Prasat Braim (5 towers), Prasat Neang Khmao, Prasat Thom (Pyramid style of 7 tiers), have lunch at the local restaurant then see Prasat Linga Pura, then depart to explore the jungle temple of Beng Mealea where it was built in at the same Angkor style period, but it has no restored and cleared the forest yet. It is called the Indiana Jones temple. (The total one day tour costs USD170 from 1 to 3 persons; USD180 from 4 to 6 persons; USD190 from 7 to 10 persons. Inclusion English licensed guide, A/C-car, cold water, face towel, but exclusion Beng Mealea temple pass USD5/Person, Koh Kor temple pass USD10/Person, hotel, lunch, beverage, your own expense and gratuities. At 7:00am depart to explore Preah Vihear, have lunch at the local restaurant, then see local village .Total one day tour costs USD270 from 1 to 3 persons; USD280 from 4 to 6 persons; USD290 from 7 to 10 persons. Inclusion English license guide, cold water, towel, but exclusion entrance fee to Preah Vihear temple pass USD10/Person, 4WD to pick up from the foot of mountain to the temple on the mountain, lunch, beverage, your own expense and gratuities. At 6:00am our English licensed guide and A/C-car will pick you up from your hotel, then depart to Preah Vihear, have lunch at the local restaurant, then see Koh Ker. (Total one day tour costs USD285 from 1 to 3 persons; USD295 from 4 to 6 persons; USD305 from 7 to 10 persons. Inclusion English licensed guide, cold water, face towel, but this price excludes entrance fee to Preah Vihear temple pass USD10/Person, Koh Ker temple pass USD10/Person, lunch, your own expense and gratuities. At 5:00am our English licensed guide and A/C-car will pick you up from your hotel, then depart to see Preah Vihear, Koh Ker Temple Group, have lunch at the local restaurant then see Beng Mealea (Jungle temple). Total one day tour costs USD300 from 1 to 3 persons; USD310 from 4 to 6 persons; USD320 from 7 to 10 persons. Inclusion English licensed guide, cold water, face towel, but this price exclusion entrance fee to Preah Vihear temple pass USD10/Person, Koh Ker temple pass USD10/Person, Beng Mealea temple pass USD5/Person, lunch, beverage, your own expense and gratuities. At 7:00am our English licensed guide and A/C-car will pick you up from your hotel, then depart to see Banteay Chhmar, have lunch at local restaurant, then see Banteay Torp. Total one day tour costs USD150 from 1 to 3 persons; USD160 from 4 to 6 persons; USD170 from from 7 to 10 persons. Inclusion English licensed guide, cold water,face towel, but this price excludes entrance fee to Banteay Chhmar temple pass USD5/Person, lunch, your own expense and gratuities. At 7:00am our English licensed guide and A/C-car will pick you up from your hotel, then depart to Sambor Preikuk temple group was built from the 7th to 8th centuries, have lunch at the local restaurant, then see Spean Kampong Kdei "the 13thcentury-bridge". At 8:30am depart to Kampong Khleang village to explore the way of local life, local market, stilted house, school, pagodas, floating village, the greatest lake in Southeast Asia, have lunch at the local restaurant, then explore the jungle temple of Beng Mealea. The total three days tour cost USD130 from 1 to 3; USD140 from 4 to 6 persons; USD150 from 7 to 10 persons. Inclusion English licensed guide, A/C-car, cold water, face towels, but exclusion entrance fee to Kampong Khleang village USD20/person, Beng Mealea, temple pass USD5/person, lunch, your own expense and gratuities.